One of Asia’s longest established independent agencies with Group-owned companies in Singapore, Greater China, India, Japan, Korea and Malaysia, plus a cohort of long term partners in Australia, Indonesia, Philippines, Taiwan, Thailand, Vietnam, we deliver International standards of Professionalism and Performance coupled with the added value of true local knowledge of culture and language. Each Company is adept in both qualitative and quantitative work. Regional Project Management & Data Collection for agencies who lack their own fieldwork infrastructure in Asia yet place an emphasis on quality, consistency, and timeliness of deliverables. We offer a CATI/CAWI hub for ASEAN calling, a fully equipped Consumer Insights Studio, and proficient B2B/B2C and field forces under direct management. 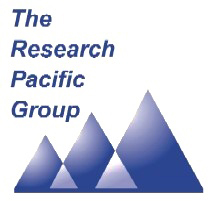 Research Pacific’s Singapore office is also the regional management centre, with 20+ multi-lingual staff dedicated to multi country work. Further info at www.respac.com. Singapore’s population is 5.18 million people, of whom 3.25 million (63%) are citizens while the rest (37%) are permanent residents or foreign workers. Twenty-three percent of Singaporean citizens were born outside Singapore i.e. citizens. There are half a million permanent residents in Singapore in 2011. In 2010, the total fertility rate was 1.1 children per woman, the 3rd lowest in the world and well below the 2.1 needed to replace the population. To overcome this problem, the Singapore government has been encouraging foreigners to immigrate to Singapore for the past few decades. Most Singaporeans are time-precious; Consumer refusal rates to anything which is not ‘short and sweet’ are high; Most methods are viable, but random calls into homes (as opposed to list based) usually fail; unrecognized numbers are rarely answered, and with 20% of households having live-in helpers who usually answer first, it is very hard to get through to people; As in most of Asia, the typical Western screening questions to establish eligibility will never be tolerated over the phone to a stranger. Online works for certain targets but wont reach the older mass market; However, being such a tiny country the costs of Face-to-face are quite low and this method is still widely used. In the B2B space most methods work, but patience is needed to reach many targets as business hours tend to be long and senior managers often are impossible to meet unless planned many weeks ahead. With a total population of 5 million in 2011, Singapore has more than 3.37 million internet users. The country has more broadband accounts than homes with the broadband penetration rate at 148.9% in 2009, representing more than 5.96 million subscriptions. Singapore has a generally efficient healthcare system, even with a health expenditure relatively low for developed countries. The World’s Health Organization ranks Singapore’s healthcare system as 6th overall in the world in its World Health Report. There are fewer than 10 annual deaths from HIV per 100,000 people. There is a high level of immunisation. Adult obesity is below 10%.